This was a question I received a few weeks ago from Marg, an Airbnb host in Los Angeles. Both Marg and I are loyal Airbnb hosts, but her question got me thinking. Airbnb is such a powerful force in the sharing economy, welcoming over 60 million guests since it’s founding in 2008. Sixty million! That’s the entire population of Italy, or the U.K. Airbnb is also now available in over 34,000 cities. We all get the point, Airbnb is awesome, and I owe much of my success at the Casual Capitalist to Airbnb. But, as an entrepreneur, I am always on the lookout for alternatives to Airbnb that can help me fill unexpected vacancies. Marg is the same, and as loyal RentalPreneur readers, I believe you are too. And there’s nothing wrong with this. In fact, it should be encouraged. So what other home-sharing tools are out there for loyal Airbnb hosts? The names of Homeaway and VRBO are circulated quite often as Airbnb alternatives, but these well-known tools are not what we will be discussing today. Onefinestay is a neat Airbnb alternative that caters to higher paying customers and luxury markets. Think of it as a hotel experience, but in a private home. This home-sharing platform came to my attention when reading news about how onefinestay had been acquired by AccorHotels for $170 million. See, the hotel industry is catching on to the home-sharing revolution. But I digress. In order to list on onefinestay, staff from the company will personally come and stay at your place to ensure it fits the listing standards. Reportedly, only 1 in 10 properties is chosen for listing on their site. The nice thing about onefinestay, according to its current hosts, is the complete service it offers. This includes marketing, insurance, cleaning, management, and maintenance. Because a representative from onefinestay personally approves your property, onefinestay emphasizes home-sharing with a personal touch. And people are willing to pay for it apparently, $170 million to be exact! 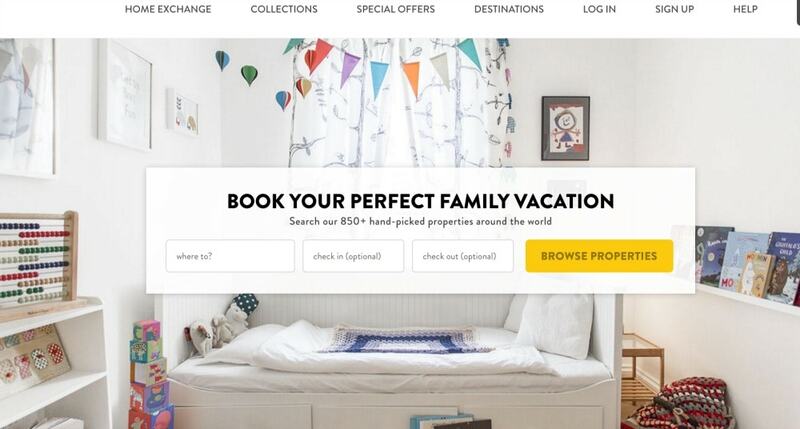 Although not as large as other home-sharing platforms, onefinestay currently manages 2,600 properties and is seeking to expand its market reach. The only downside at the moment is that onefinestay is limited to the following markets: London, Los Angeles, New York, Paris, and Rome. But, if you live in one of these places, why not give it a shot? And, onefinestay’s five-year plan is to expand to over 40 cities globally, starting in Asia. I came across Tansler recently after a conversation with a community member of mine, Mikey. “Hey Glenn, have you heard of Tansler?” He asked me. Mikey had been using Tansler for some time now and has had a very positive experience. He explained that Tansler is a reverse-auction home-sharing platform similar to Airbnb, but where the renter chooses the price. Interesting angle, so I did some more research. 1. Tansler renters name the price they would like to pay per night. 2. Renters pick a handful of properties they want to rent. 3. The rent offers are sent via the Tansler platform to hosts, creating an auction. 4. The first host to accept wins the auction. It’s really that simple. And, if you don’t like the offer, you simply decline or ignore it. You are in no way committed to accepting offers. 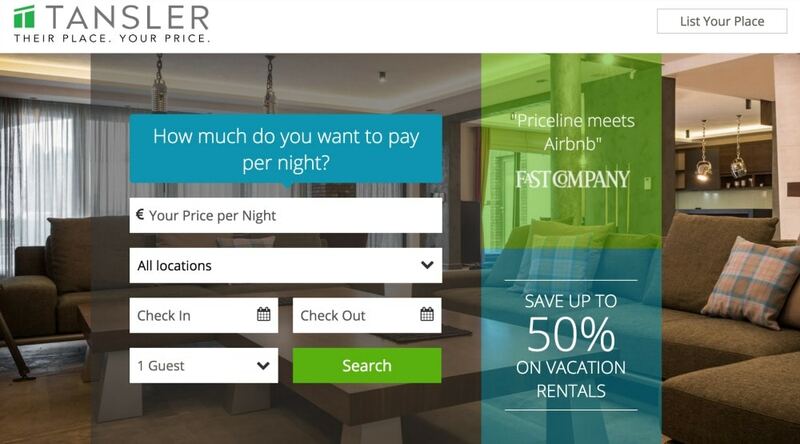 According to Tansler, any host who lists gets an automatic $75 travel credit. Not too shabby! And they have a referral program as well that can earn you more travel credits. Alright Mikey, sign me up. Wait, I already am. As you can tell from the name, Kid & Coe caters to the family market and child-friendly vacation destinations. I won’t speak for others, but my house is teeming with children’s toys (mostly princess apparel! ), and is already child-friendly. So instead of putting all of that away, why not embrace it and list with Kid & Coe? – There is less to pack, as toys, books, and crafts are already at your vacation home. – Homeowners can give you local information about kid-friendly attractions. – And, you typically have the amenities of a family home: backyard, nearby playgrounds, playroom, etc. According to Fortune Magazine, Kid & Coe has over 500 properties in worldwide 145 destinations. See if it’s in your neighborhood! Does it sound like family-friendly home-sharing might work for you? Be sure to also check out an awesome guide from RentalPreneurs on Clanventure, a similar sharing economy platform for families. Maximize your customer base through multiple websites, a process we refer to as platform stacking. You can’t build a home with only one tool in your toolbelt, and you certainly can’t build a home-sharing side hustle with just one either. Commit yourself to picking at least one of the above websites and registering your property. This way, you’re expanding your audience within a matter of minutes and giving yourself a larger customer base to choose from. Do you have any experience with any of these above platforms? If so, help out your fellow RentalPreneurs and provide comments below about your experiences and any advice you want to share. Glenn is a writer and sharing economy enthusiast based in Montreal, Canada, who is the author of Secrets of the Sharing Economy, a book that shows people how to make money in the sharing economy. Glenn’s passion is to teach people how to make money in the sharing economy through his blog The Casual Capitalist.